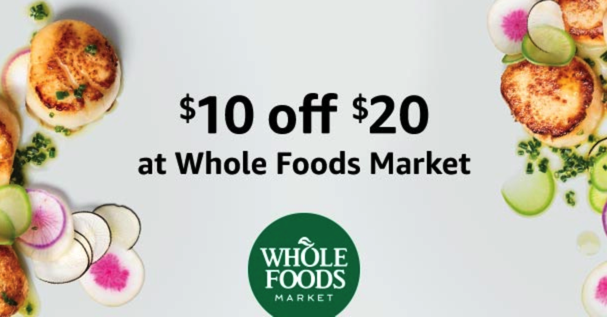 If you love Whole Foods, you don’t want to miss out on this Amazon deal! If you’ve never tried Amazon Prime before, Amazon is currently running a promotion to get a $10 Whole Foods credit when you sign up for a free one-month Prime trial. Just go HERE to sign up for your free one-month Prime trial, and you’ll receive an e-mail with instructions on how to redeem your $10 credit on a $20 Whole Foods purchase! Promotion runs through April 30, 2019. Promotional $10 credit is valid through May 31, 2019. The credit must be used in full on one purchase and can’t be used towards gift cards, alcohol, postage, or gift wrap services. Interested in trying some new beauty products? 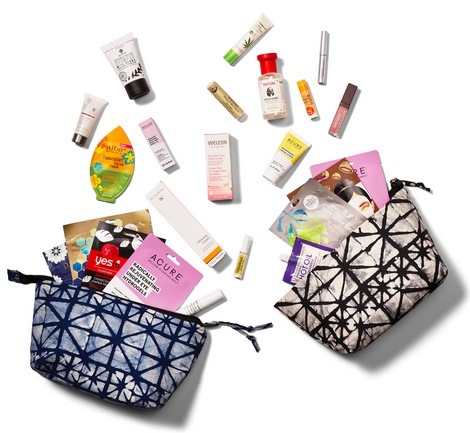 Whole Foods is offering Limited Edition Beauty Bags for only $20 right now! Starting today, Whole Foods is offering Limited Edition Beauty Bags for only $20 (a $100 value)! You will be able to choose from two bags: All-Day Beautiful Bag or the Self-Care Sunday Bag. They contain new and trendy products from brands like Weleda, Acure, Alba, and more. Even better, Amazon Prime members can score an additional 10% off! Whole Foods: Two Dozen Roses only $19.99 for Amazon Prime Members! Starting today, Amazon Prime Members can score two dozen roses from Whole Foods for just $19.99! Simply log in to Amazon or Whole Foods app on your phone and scan the bar code at checkout. Valid through February 14, 2019. Amazon Prime Members: Save an extra 10% on sale items at Whole Foods! Amazon Prime Members can now save an extra 10% on all yellow tag sale items at Whole Foods! This is currently being offered at Florida locations only, and will be offered nationwide staring in the summer. Just download the Whole Foods app, sign in with your Amazon account, and scan your Prime Code at checkout for discount. Whole Foods: 20-Stem Bunch of Tulips only $10 for Amazon Prime Members! Starting today, Amazon Prime Members can score a 20-stem bunch of tulips from Whole Foods for just $10 when you use this coupon! Valid through May 15, 2018. Starting today, Amazon Prime Members can score two dozen roses from Whole Foods for just $19.99 when you use this coupon!